Many of our stories today are told through technology, and it is here that Cynthia Branches Out has given individuals a voice. Your story will help grow the world in gratitude, community & grace. Branching Out in Faith: The App, is equal parts daily thanksgiving journal, calendar, and social network. 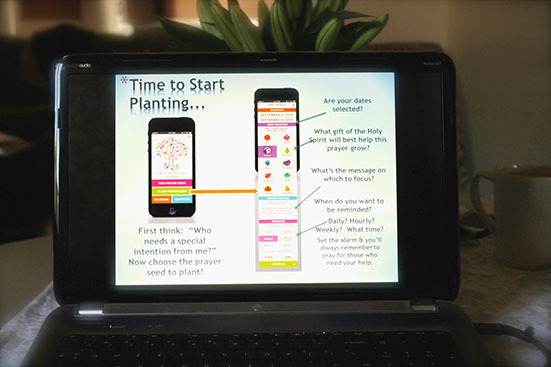 Plant seeds of faith on your iPhone 4, 4S or 5 and watch them grow…then share that flourishing story on Facebook, Twitter or email.